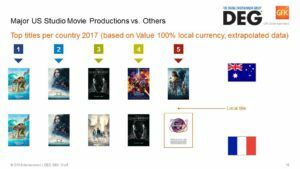 Local product dominates in Japan, but in Australia, titles from U.S. major studios are still growing in share. 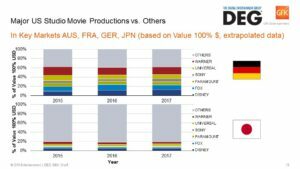 As digital movie transactions grow globally, the physical market still remains a reliable business field for the U.S. major studios around the world. 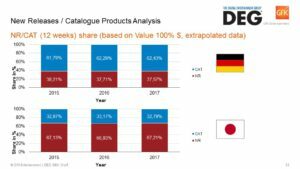 At GfK Entertainment, we see the regions of particular interest outside the U.S. are the global key markets Australia, France, Germany and Japan, which show unique regional characteristics in factors including the performance of New Release (NR) titles in relation to Catalogue (CAT) titles, and the performance of U.S.-produced titles vs local titles. 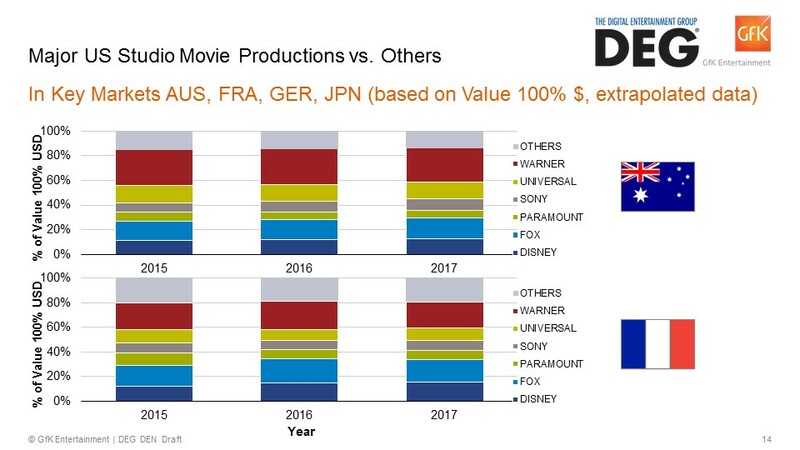 The development of Hollywood majors’ market shares reveals that their performance differs from country to country in recent years, with Australia being the territory with the largest, and growing, share for major U.S. titles over the last three years. In France, the share is slightly below the Australian level and the trend more volatile. In Germany and Japan, the share of Hollywood majors is the lowest of the territories considered here. The Japanese market, in particular, is known for successful local productions in the anime and music genres. The gray area in the charts above and below represents the share of local productions in Australia and France (above), and in Germany and Japan (below). 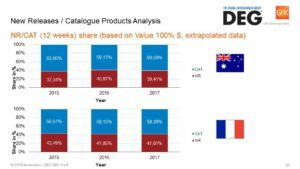 Major U.S. studio product is much more dominant in Australia and France than in the other two territories. The trend is demonstrated through the top five titles in each local market. 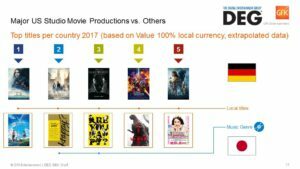 While in Australia, France and Germany Hollywood majors’ productions dominate the top 5, the strongest titles in Japan are all domestic products with two of them belonging to the music genre. In the New Release and Catalogue segment, local aspects can be observed as well. The French and the Australian market are alike in the shares of NR/CAT throughout the past three years. Germany, on the other hand, is showing a higher CAT share and even an uptrend for older titles. The Japanese market’s uniqueness is emphasized by dominating role of the NR segment. Furthermore, Japan is showing the highest price level for NR as well as CAT products. 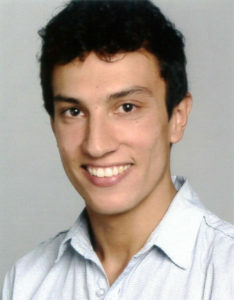 Julian Sprengel is Market Research Analyst Multimedia International, GfK Entertainment. For more information, please email GfKEntertainment.BAD@gfk.com.